Jazzy, as an older female, still can catch your eye as she wanders the pasture. 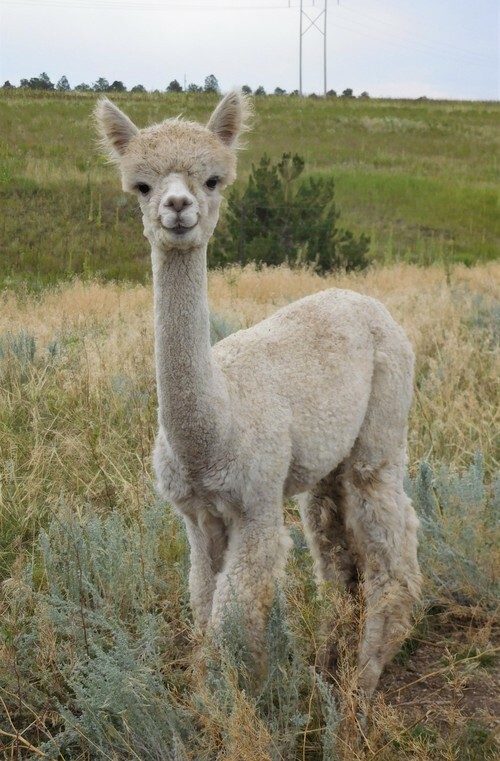 She is a very solid female with adorable thick curls of fiber around her face. 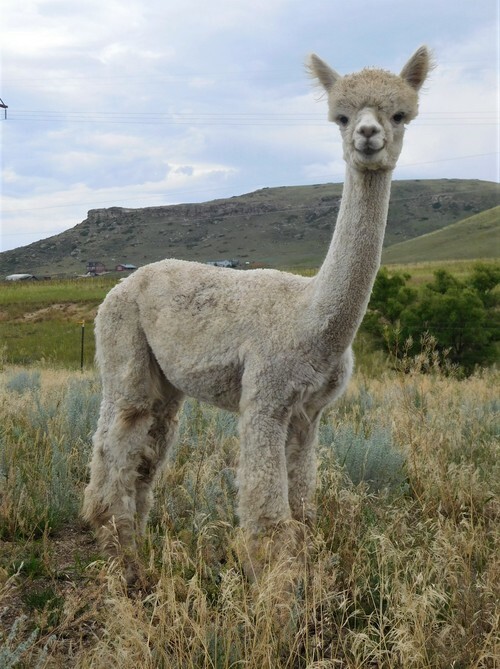 Jazzy is a direct descendant of 4Peruvian Legacy and continues to display wonderful lingering fineness and density. In additon, she is an excellent, proven mom. 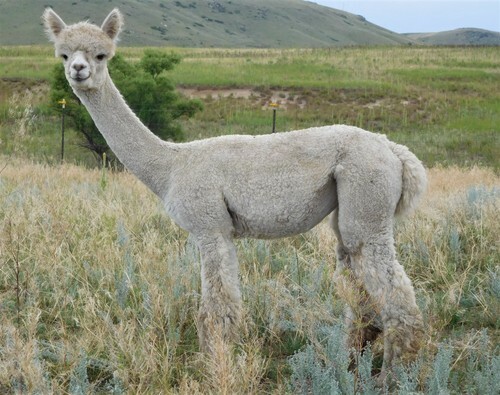 We currently own her daughter, Mazzy, who is also a gorgeous seed stock female. Jazzy's price reflects age, not her quality. She is an outstanding, high quality female and has many years of motherhood ahead of her. Purchasing Jazzy is a great way to integrate highly desirable genetics at a reasonable price. Fleece sample are available upon request. 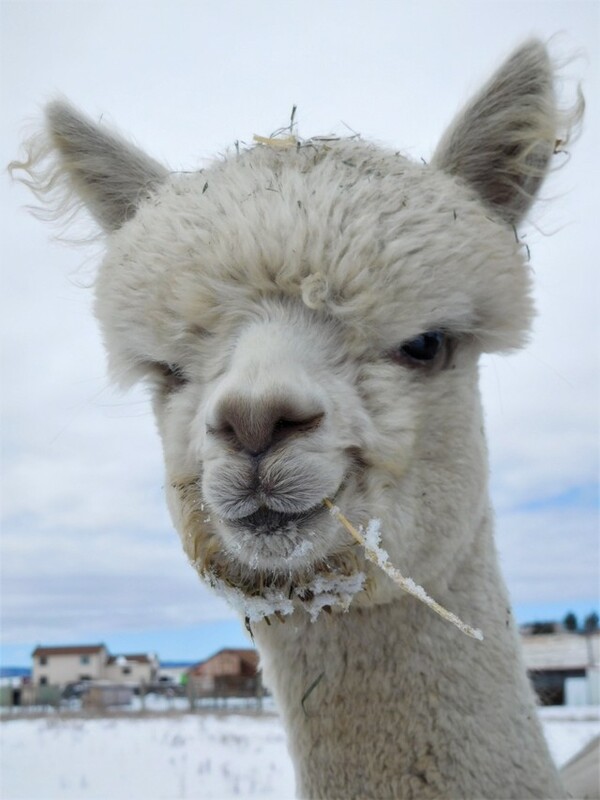 If you are local, we encourage farm visits so you can visit with Jazzy and see her offspring, Mazzy and her most recent cria, Gypsy Soul. As a side note, Jazzy has produced a beautiful dark silver gray female in addition to white offspring. The grey line came from the sire, but she allowed it to express. Jazzy is also included in a great starter alpaca package with Echo and Agnetha. This price does not include her 2017 cria or a breeding. If interested in either, please let us know. Gypsy Soul is a beautiful and spirited one year old with excellent genetics and a ton of potential. Excellent conformation and stunning fleece pair nicely with her sweet face. 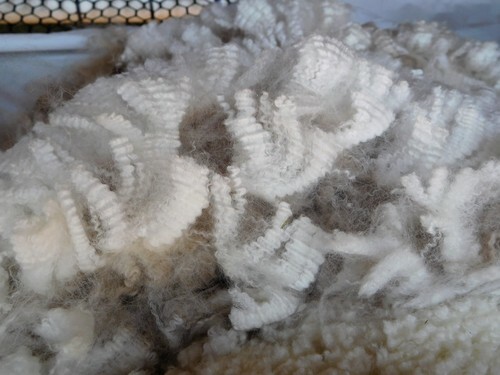 Fleece samples are available upon request. Farm visits are encouraged. If interested, her dam, Crescent Moon's Jazzy, may also be included with the purchase of Gypsy. Don't forget to check out her histogram report. 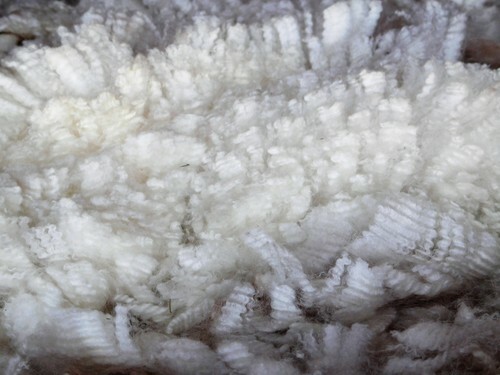 Her fleece is also very bright, extremely soft, dense and has beautiful architecture.